I had a fun cooking lesson at Ateliers des Chefs today where we made a three-course meal consisting of some classic French dishes. 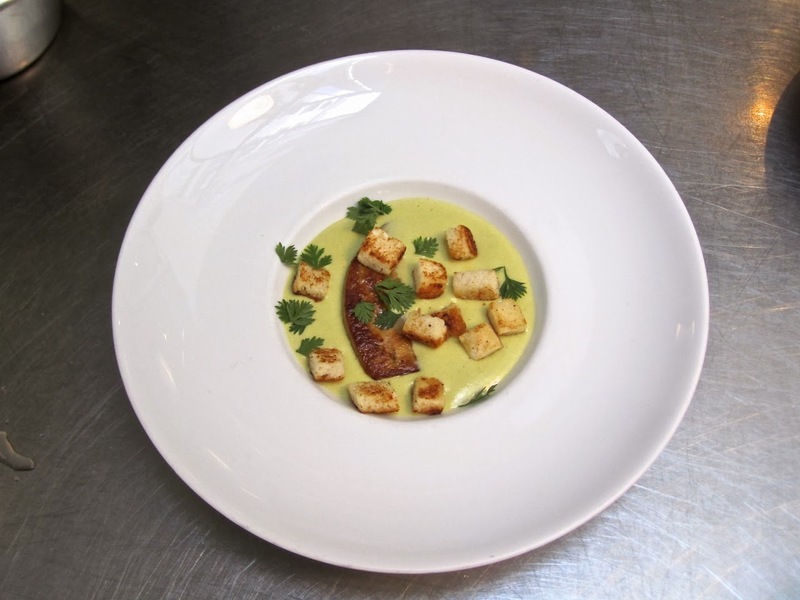 First up: a Potage Saint-Germain (split pea soup) with sautéed foie gras, croutons and chervil. Really rich but velvety and delightful. The foie gras and the pea soup made a perfect mélange. 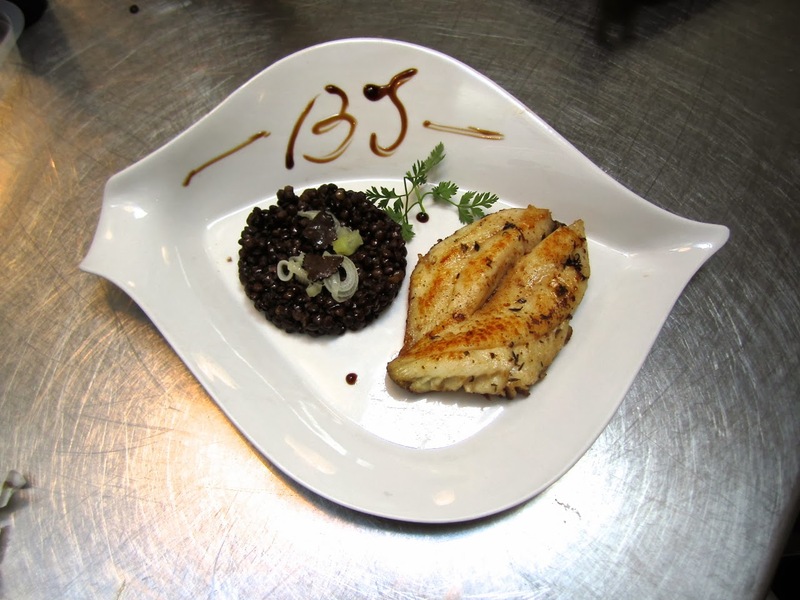 Next, Butter-basted roasted Saint Pierre (John Dory) with truffled Puy lentils. I love lentils but I would have preferred potatoes for this dish. The lentils were so assertive that they muddied the flavor of the fish a bit. Finally, a traditional Grand Marnier soufflé, which was not gorgeous but had a perfect smooth texture with only a hint of the famed liqueur. Sushi dinner tonight, fortunately; no more fat.